The Transcendent God – Shiva (शिव as his name is pronounced in Sanskrit) is the timeless God of the universe. He alone exists as an existence itself, even before the creation of our world and can be understood as the ultimate transcendence and the supreme being. This Supreme Being wants to become something. The Upanishads say, in the beginning, there was only one. He looked around and saw that there was no one else. After feeling alone, he thought to himself, “ may I be two or may I, be many?” In reality, even God wanted to be loved and that is why he simply created the world, to love and to be loved. Likewise, once he enters his own creation as an embodied being, he now involves himself in meditating and re-connecting with his transcendent “godness”. Such connecting is termed as “Yoga”. So, Shiva is the Yogi par excellence and is replete with divine knowledge and power. Shiva constantly deploys his powers, wisdom and his godhood to uplift all his children. In this, he is goodness personified and many who have faith in his immanence, worship him as their personal god. Therefore, Shiva is simply auspicious as well. Why is Shiva also known as the destroyer? Hindu dharma principally believes that the processes of God are threefold:- Creation, preservation, and destruction. It further believes that the God optimizes his attributes in a particular manifestation to enable the execution of a specific process with the greatest efficacy. Thus, Brahma is the creator of the world, Vishnu incarnates time and again, for he is its preserver. Which leaves Shiv as the destroyer at the end of a world cycle. Also Read : Why does Lord Shiva Wear Tiger Skin? Shiva is one of four main gods of Hinduism, the other three being Brahma, Vishnu, and Devi who is Shiva’s consort herself. In the beginning, there was only Shiva-who is endowed with immense power and Shakti, who is none other than Devi- the eternal consort. The two are inseparable, like anything and its inherent nature. Like the Sun and light; fire and warmth; moon and shine and stars and night as well as God, and Mother Nature “In-here” in each other as one. Hence, where there is God (A creator), there is Nature (A Creation). That is why where there is Nature, God is present as well. Now, in the Shaivite view, they both (Shiva and Shakti) create Brahma and Vishnu. Where Brahma creates the world, enters it and Vishnu too enters it. Yes, so do Shiva and Devi, as his loving, inseparable wife, Parvati. Most of us know Shiva since here, in his popular depiction as Shiva, the Yogi. He is dhyanastha-meditative, mindful, beneficent, always immersed in transmitting spiritual guidance and sharing many methods of attainment. Ultimately, during the end of life, all is absorbed back to him. But they are lucky who get absorbed in godhead in their current birth while retaining their body before actually dying. This is real attainment, this is real Moksha and jivanmukti for a lover of Shiva. So, to a Shiva lover, destruction does not mean ‘finishing off the world’, but rather signifies the ending of ignorance, falsehood and the ending of the hold of Maya. 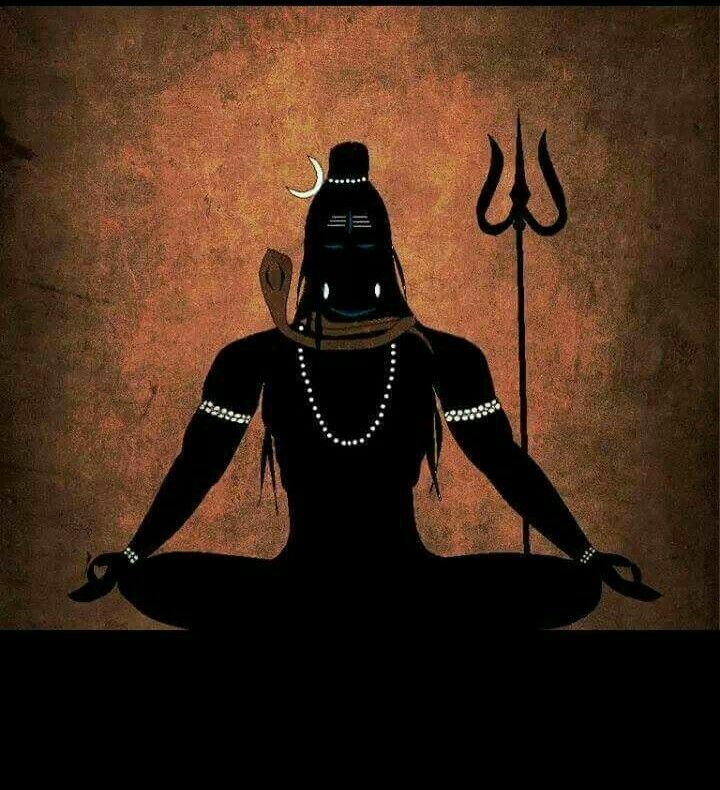 Interestingly, Shiva as Adi guru thus guides us to higher wisdom not by giving things, but by the ‘taking away’ of junk messages that have accumulated in our minds through ages and one can compare this to the way your computer vendor cleans up our personal computer to make it efficient and new once again. These junk messages may have resulted not only in personal misery but also creating chaos and disharmony when we come together in collective societies. That is why Shiva is called Hara, ‘the taker away” in taking away and when he gives, ignorance goes and Godhood returns. Foremost amongst our errant conditionings, we think we are distant from God. Shiva ends the delusion that we are only body and mind and thus the distance from God. Hence, ending of delusion ends limitation. So if there is something Shiva does destroy, it is our limitation. He tells you that you are one with God, you always were, and you always will be because there is nothing that can exist outside of God. Aum Namah Shivaya! We salute the Great Adi Guru.